Partner Phillip Gibson, Accredited Specialist Criminal Law presents a case study of a key judgment relating to the right against self-incrimination at the Australian Criminal Intelligence Commission or ACIC (formerly Australian Crime Commission or ACC). The landmark judgment of X7 is a high-watermark in Australian criminal law that protects the rights of an accused against self-incrimination. In a 3-2 majority, the High Court powerfully safeguarded the accusatorial nature of the criminal process. The ramifications of this case are far-reaching for all those who have been summoned to appear before the Crime Commission in circumstances where they face criminal charges. In 2010, X7 was arrested by the Australian Federal Police for Conspiracy to Traffic a Commercial Quantity of a Controlled Drug, Conspiracy to Import a Commercial Quantity of Border Controlled Drug, and Conspiracy to Deal with Money that is the Proceeds of Crime. These offences carried a maximum penalty of life imprisonment. While in custody, X7 was served a summons under section 28 of the Australian Crime Commission Act 2002 (Cth) requiring him to appear before the Australian Criminal Intelligence Commission for a compulsory examination. Under section 30(2), X7 would not have been permitted to refuse or fail to answer any question. However, section 30(4) does say that any answers given will not be admissible in a criminal proceeding. The examination questions posed by the Commission went directly to the charges. It potentially would have equipped the Commission with a wealth of information that might well be used against X7 in subsequent criminal proceedings. The Commission assured X7 that any answers produced in the examination would not be used against him in any potential criminal proceedings. In fact, the Commission gave a direction under section 25A Australian Crime Commission Act in very strong terms. However, X7 declined to answer any questions. He was advised by the Commission that he would be charged with an offence for failing to answer a question. X7 contended that the Commission’s power of compulsory examination could not be exercised after a charge has been laid. This crucial question of law was to be decided by the High Court. The High Court had to determine whether the Crime Commission could lawfully require a person who has been charged with an offence (but not yet tried) to answer questions relating to those offences. Unless specifically enacted by legislation, there is a right to silence against self-incrimination. 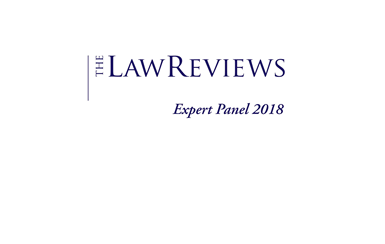 If a person is ‘forced’ to answer questions that may incriminate the person, then there is a real ethical problem in running a positive defence to the related criminal proceedings at a later time. However, if an accused person can maintain their right to silence, they are lawfully able to defend themselves at trial based on the strengths and weaknesses of the evidence against them. The actual case against the accused might be weak, but if admissions have been made in a Crime Commission hearing, then a question arises as to whether the accused can have a fair trial – remembering that the onus of proof beyond reasonable doubt falls upon the prosecution. The Crime Commission argued that the Act already provides appropriate protection to X7 so that there was no need to seek relief in the High Court. They relied on section 25A and submitted that by preventing disclosure of evidence to the Police and DPP, the Act provided mechanisms to ensure that the examination did not result in any prejudice to the fairness of a pending trial. The High Court rejected this argument. If the Crime Commission could compel a person to give evidence about pending charges, this would fundamentally alter the system of criminal law in Australia. And the fact that evidence given by that person would not be disclosed to the Police or DPP afforded the Crime Commission no defence. The High Court would not tolerate an attack on the fundamental principles of criminal process. The High Court concluded that the Australian Crime Commission did not authorise the compulsory examination of a person charged with, but not yet tried, for an offence about the subject matter of the pending charge. How would permitting compulsory examination in circumstances where a person is charged but not yet tried fundamentally alter the criminal justice system? Their Honours held that ‘the general system’ of the criminal justice system is its accusatorial nature. So did the Act express an intention with irresistible clearness to quality the accusatorial nature of criminal law? The answer must be no. This is because under section 7C, the Crime Commission is tasked with investigating matters relating to federal offences only where ordinary police methods of investigation are not likely to be effective. The performance of this investigative function is in no way restricted if the Crime Commission cannot examine persons charged, but not yet tried for an offence. Nothing in the Crime Commission Act suggests that Parliament intended to overthrow the accusatorial nature of the criminal process. The converse would fundamentally alter the accusatorial nature of the criminal law. The criminal trial process is accusatorial in the sense that it is for the prosecution to decide what charge is preferred against the accused. Furthermore, it is accusatorial in the sense that the prosecution bears the onus of proof in proving guilt beyond reasonable doubt. It is also accusatorial because the accused is never called on to answer the allegations of wrong-doing. The accused is entitled to put the prosecution to proof of the charge and test the strength of their evidence. Their Honours also recognised that the right to silence and right against self-incrimination are basic and substantive common law rights enjoyed by all. The right against self-incrimination is a privilege which permits the accused to answer any question, even if that answer was could not be admissible. These principles reflect the longstanding proposition that an accused person never has to answer to any allegation of wrong-doing. Even in the investigation stage of the criminal process, their Honours found hallmarks of an accusatorial system. Their Honours held that even at the stage of arrest, the accusatorial nature is evident in the caution a police officer makes to the accused – that the accused has the right to remain silent and refuse to answer any question. Again, their Honours identified features of an accusatorial process in pre-trial procedures. For example, committal hearings provide the accused with a method of testing the prosecution case. It is at the committal hearing that the accused will get an opportunity to challenge the preliminary case against them. Their Honours concluded that at all stages of the criminal justice system, the process is fundamentally accusatorial. If section 28 of the Crime Commission Act permitted the compulsory examination of a person charged with an offence about the subject matter of a pending charge, then this would fundamentally alter that accusatorial nature. 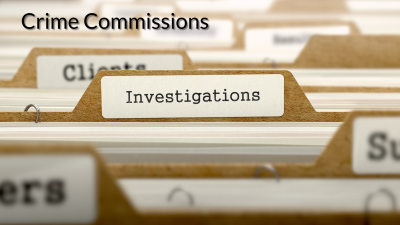 What the Crime Commission seeks to do is interfere with a person’s ability to determine their case. This attempt offends the accusatorial nature of the criminal process. An accused would have to decide what plea to enter, what evidence to challenge, and what evidence to give or lead at trial according to the answers he or she gave at the examination. The accused person is thus prejudiced in his ability to defend the charges by being required to answer questions about the subject matter of the pending charge. The High Court will not tolerate any interference with the accusatorial nature of the criminal process in the absence of any Parliamentary intention. It follows that the Australian Crime Commission Act does not authorise an examiner to require a person charged with an offence to answer questions about the subject matter of the charged offence. Nyman Gibson Miralis are criminal defence lawyers with an accredited specialist in criminal law who can assist you with any type of criminal law matter including those involve the Crime Commission. We have taken cases to the High Court of Australia related to those outlined in this case study.